Benetti's 50-metre Vica, with a glassfibre hull and an aluminium superstructure, is described by the yard as "a yacht for the Mediterranean". With the emphasis on open-air spaces, Benetti’s 50-metre Vica boasts a spacious open deck astern, a forward guest area and a large sundeck. The yacht also incorporates three lateral hatches: the first is at the stern for launching and recovering the tender; the second serves as the bathing platform; while the third opens into the lower deck lobby, bringing air and light to an otherwise closed area. She has four guest cabins on the lower deck, an owner’s suite forward on the main deck, and an additional cabin on the upper deck. The main salon features a grand piano, karaoke, a corner bar and sofa, as well as a more intimate area with lounge chairs, coffee tables and large-screen plasma TV. 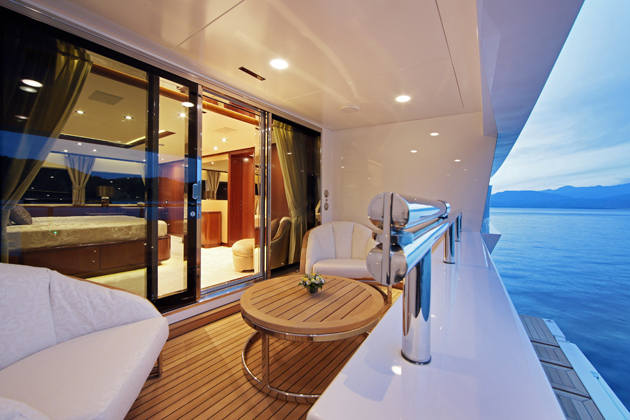 The owner’s suite features a large study and a full-beam cabin with a private terrace, complete with a gangway leading down to the sea. 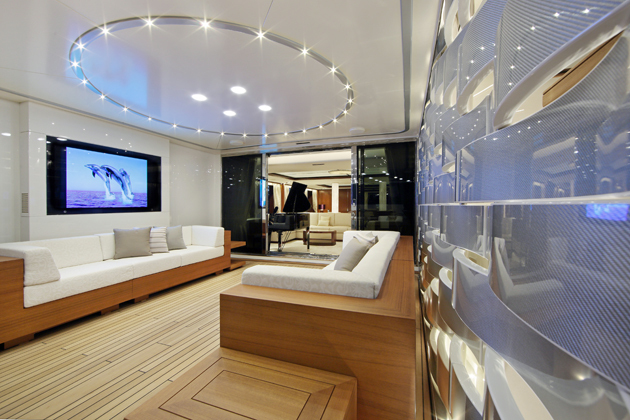 The warm and classic interior, featuring cherrywood and rosewood, is designed by Benetti, under the guidiance of the architect Mariarosa Remedi and in collaboration with the owner’s personal interior designer. Jacuzzis on the sundeck and foredeck will keep guests happy, while the space forward on the sundeck can be converted to a touch-and-go helipad, although Vica’s owner hasn’t opted for this. The yachts sleeps 12 guests and 12 crew, and reaches a top speed of 15.5 knots.